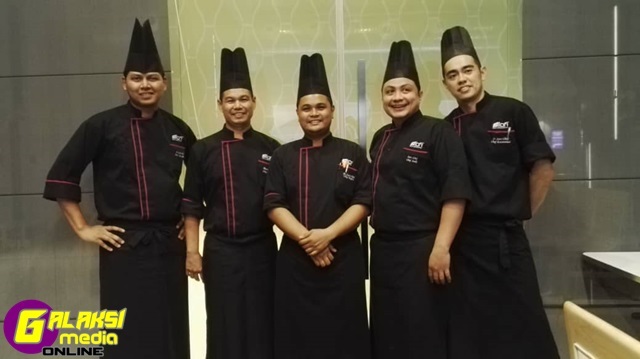 Kuala Lumpur; – This August, Nook at Aloft Kuala Lumpur Sentral will give centre stage to five of its chefs, each with their own specialty to feature buffet line at Nook will be highlighted by a team of five local chefs and their specialty dishe s to complete the buffet spread. The team of five chefs includes, 36-year old, Mohd Haffizi Bin Aledul Ginani, known to all as Chef Fizi. He is the man in charge of the Appetisers section on the buffet to whet the appetites of diners at Nook. Chef Fizi will feature his version of Gago-gado, Asian Chicken noodle Salad, Shrimp with Pomelo and Watercress Salad on the buffet this August. 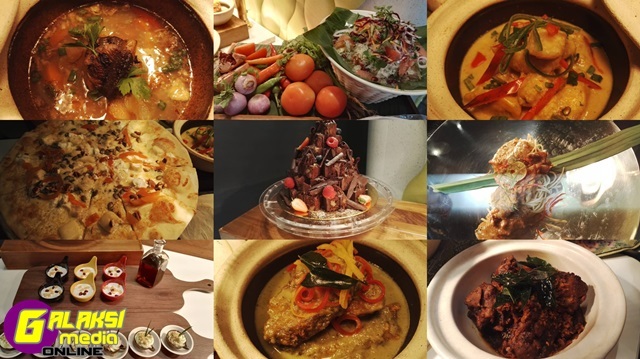 The second chef to be featured for the month of August is Chef Muhammad Hafiz Bin Izham, a 29-year old from Pahang, specialising in Malays cuisine. He will be serving up his specialty dishes Fried Crispy Sea Bass with Green Curry Gravy, Spiced Eel Soup and Gulai Pisang Muda Ikan Bilis amongst others. The Chinese cuisine on the buffet will be prepared by the hands of Chef Emmanuel Chang Lin Con, a 32-year-old who hails from Malacca. Chef Emmanuel’s dishes on the buffet this month will include the Kam Heong Chicken with Dried Chilli, Butter Prawn with Oats as well as the Wok-Fried Mussels with Black Bean Gravy. Nook’s buffet will also feature a spread of Western and Fusion dishes. The restaurant’s Sous Chef, Ahmed Zaki Bin Harun, the maestro of fusion cooking will be plating up a variety of dishes including his Braised Chicken Rendang Pasta, Daging Masak Hitam Berempah and Quattro Formaggi Pizza. No buffet is ever complete without a dessert spread. On the dessert bar, you’ll find delectable creations of Chef Zahrin Mohamad Bin Madzlan. Diners can indulge in Chef Zahrin’s Bubur Som Som, Brownie Tower, Pandan Tiramisu in a Coffee Cup and many more scrumptious sweets on the buffet. Beef Burger – juicy patty, grilled to perfec tion; Nasi Lemak – Malaysia’s favourite rice dish cooked in coconut milk and pandan leaves and Chicken Rice – a Hainanese special. Nook’s buffet dinner is priced at RM108nett per adult and RM54 per child for kids aged 6 -12 years old on Sunday to Thursday. On Friday and Saturday, tickle your taste bud and dive in a series of tantalizing flavors of fresh mussels, prawns, crab and more at Nook’s Sea Meat Buffet Dinner priced at RM120nett per adult and RM60nett per child.